So recently I did a major website redesign for a client that involved a lot of content and a lot of images. It was a great learning experience as this is by far the largest site (resource-wise) that I’ve dealt with. I ran into some not so fun stumbling blocks worth sharing. First, you can optimize your site to death, but if your hosting server is lagging, your site is going to be slow. Customers don’t like slow, the client doesn’t like slow, I don’t like slow – and Google especially doesn’t like slow. Nobody likes slow websites. I spent a lot of time running various speed tests and making the recommended improvements, but in the end we made the decision to change hosting providers. Twice. That’s always fun. Not. But it was worth it to make the switch for the client as now we have a site that clicks along nicely. Looks like I’ll be switching my reseller hosting account too, but that’s a story for another blog post. Now that we’ve moved the site (did I mention twice?) to the new hosting provider, we’ve been digging further into site improvements. One of the tasks I embarked on was renaming all of the images in the site so they’re more descriptive and SEO – friendly. We have several users uploading images so keeping track of image names, titles, alt tags, etc. can be a challenge. We have a lot of images… Creating descriptive, keyword-rich file names is absolutely crucial for image optimization. Search engines not only crawl the text on your webpage, but they also search for keywords within your image file names. When you have hundreds of images, this can be a daunting task! I found a great little plugin that I’d like to share with you that worked like a champ for me. I tried several and I found that Media File Renamer (Pro Version) from Meow Apps did the job. I started with the Free Version, but quickly realized that I needed the added features of the Pro Version so that I could add sequential numbering to the file names. It automatically renames your media filenames depending on their titles. When files are renamed, the references to it are also updated (posts, pages, custom types and their metadata). Long story short, I was able to make good time with getting the image files renamed without breaking my client’s bank account and checked off one more piece to our ongoing SEO strategy. 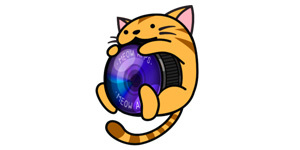 Check out Jordy’s other plugins at MeowApps.com. The pricing is reasonable and the support from Jordy is great. I always appreciate the plugin developers who respond quickly to questions or problems. They can be a real lifesaver for me as writing php code is not my strongest suit! Check it out and tell him we sent you! Next: Next post: Happy Fall Y’All!